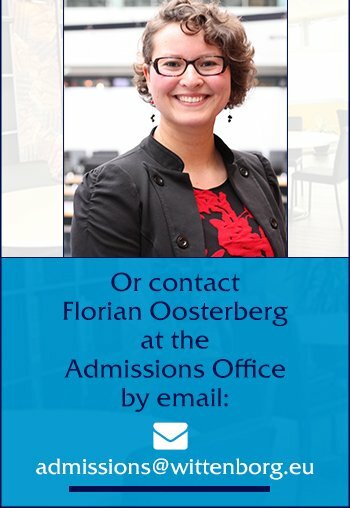 Prepare for study and life at Wittenborg University of Applied Sciences! If you are an international student, and you need additional preparation and support in English or foundation subjects to complete undergraduate or postgraduate study at Wittenborg University of Applied Sciences, then the Foundation Programmes with Intensive English Language course, based on IELTS exam style, offered at Wittenborg can help you develop the skills and knowledge to succeed in your degree. Pre-Bachelor's: Foundation Modules of the Bachelor International Business Administration, together with intensive lessons of Academic English. Minimum IELTS level 5 required for entry. On successful completion students will be awarded an IBA Foundation Year Certificate and progression to the bachelor's degree programme, with exemption for all IBA credits already achieved. This 18-Month Master of Science 'Combi Package' combines the first semester of the MBA programme with one of the Master of Science programmes and is aimed at students who either require a pre-master's, or who simply would like to gain a foundation in master studies before they start their MSc. This combination programme is for students wishing to study the Master of Science in International Hospitality, International Tourism or International Event Management, and require or would like to study a half-year master's preparation course that will fully prepare them for their chosen MSc programme. Students only have to choose the Master of Science pathway at the end of the first semester, allowing complete flexibility. With the main elements of business and management covered in the first semester programme, students will enter the postgraduate programme of their choice very well prepared.